The Blockchain Beach Entrepreneurs Meetup is happening in Santa Monica this weekend! 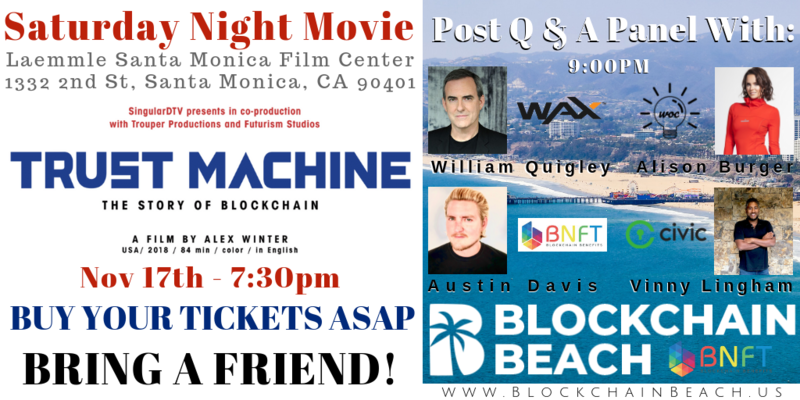 Limited Screening of “Trust Machine” The Story Of Blockchain. Blockchain industry panel & entrepreneurs networking events each night! Entrepreneurs talk about business and decentralization. Build the community and invite newcomers. Learning more about Blockchain the Los Angeles community.